I will honour Christmas in my heart, and try to keep it all the year. I will live in the Past, the Present, and the Future. The Spirits of all Three shall strive within me. I will not shut out the lessons that they teach. Oh, tell me I may sponge away the writing on this stone. This is Ebenezer Scrooge's solemn promise to the Spirits at the end of Charles Dickens' classic A Christmas Carol--a promise that Charlie Lovett has set out to explore in more depth in his follow-up to the classic holiday tale, The Further Adventures of Ebenezer Scrooge. Lovett's sequel revisits Scrooge twenty years after the happenings of A Christmas Carol. Scrooge has lived up to his word (so much so that he bids everyone a Merry Christmas in the dead heat of July), but in doing so, has come to realize that those he loves and cherishes--his nephew, Fred, and his now-business partner, Bob Cratchit, and even the two men from the bank that request a donation--have since lost the spirit of Christmas themselves. And so he conspires with the Spirits he once knew to assist him in bringing Christmas back to those who may have lost it. 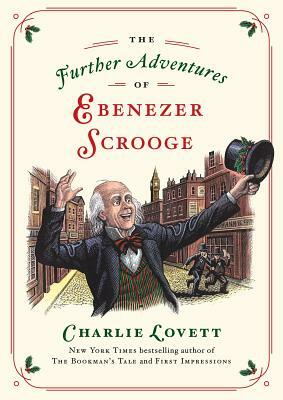 The Further Adventures of Ebenezer Scrooge is a quick read, and not much of Lovett's storyline is unexpected or surprising--but then, the story of A Christmas Carol is now so well-told and well-known that it would feel out of keeping with the original text to write a sequel full of twists and turns. And Lovett's work is very much in keeping with the original text. he has done an excellent job of weaving together phrases and passages from A Christmas Carol (along with nods and references to other Dickens works throughout) in such a way that makes it easy to forget that the text is not original. Long-time fans of A Christmas Carol (and I am very much one of those) will find it easy to make room for this slim, entertaining volume on their shelves. And good news! 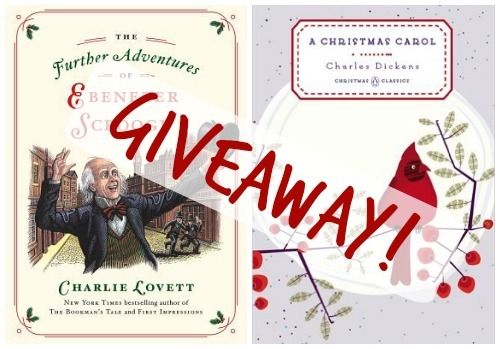 Thanks to the publisher, I can offer one copy for giveaway--plus a beautiful Penguin Classics edition of A Christmas Carol for the perfect book pairing. Enter using the Rafflecopter form below. US entrants only, please. Prize copies to be provided by the publisher. I'll select a winner on Monday, December 15th. Thanks to the publisher for providing a copy of this title for review, as well as copies of this title and A Christmas Carol for giveaway.